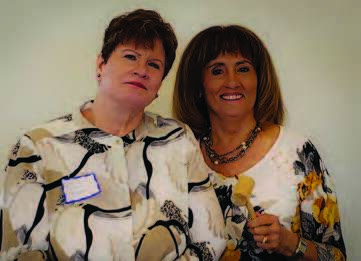 Photo caption: Barbara Brekke handing over the gavel to our new president, Mary Adele Cluck of Marry Me Mary. Join the vibrant ladies of Women-n-Charge on Friday, February 1st from 11:15am-1:15pm at Plantation Palms Golf Club (23253 Plantation Palms Blvd., Land O’ Lakes, FL 34639). The meeting includes lunch, a presentation, and time to network. We share our talents, build relationships, and share our resources with other women in business. The cost is $15 for members and $18 for guests who RSVP by Monday prior to the meeting. Tuesday and after, the cost is $20 for members and $23 for guests.